Robyn Stacey is one of Australia’s most well known photographers. Since the mid 1980s her work has been exhibited widely both in Australia and abroad, and she has been the recipient of a number of awards and research grants. She has had several residencies in a variety of historical collections over the last 10 years including the Historic Houses Trust of New South Wales, the Macleay Museum and the Botanic Gardens. Her work is also studied in New South Wales and Victorian High School Curriculums and she is a senior lecturer in the School of Communication Arts at the University of Western Sydney. Throughout her career, Stacey has questioned our identification with history. In 2000 she began investigating museum practices, sumptuously photographing artefacts from natural history and archival collections. Continuing her fascination with the power of the Dutch still life tradition, ‘Empire Line’ investigates some of the NSW Historic Houses Trust collections. In these often lush tableaus, the eye lingers over traces of the original 19th century inhabitants. Ghosts of colonial life in Vaucluse and Elizabeth Bay Houses remerge in Stacey’s intimate portrayal of their consumer objects. 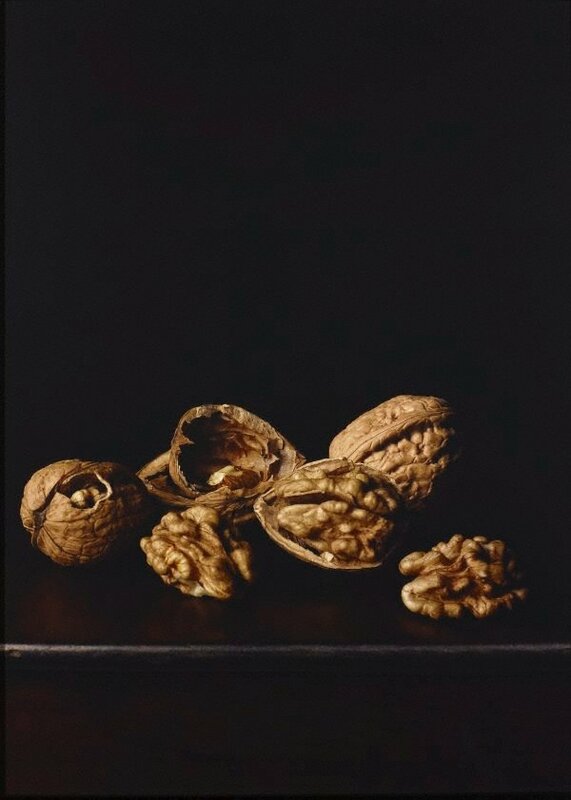 Like the Spanish still lifes of Goya, Cotán and Zurbaran, Stacey offers each of these moments to the pages of history: in ‘Walnuts’, she refers to Elizabeth Macarthur’s description of the imported walnut trees growing in the gardens at Elizabeth Farm, Parramatta in 1816. Exhibiting these collections in all their viscerality, Stacey focuses the viewer’s attention on the project of museology – systems of taxonomy, categorisation and ideology that determine cultural value. Food items, such as these gnarled and knobbly walnuts, both repel and embrace the viewer – they are both gloriously ripe and beginning to fester. Full yet impotent, they have been prepared and left, waiting to be consumed.